The 113th Congress is coming to a conclusion and although The National Nurse Act of 2013 did not pass, there is much to celebrate. It is especially rewarding that so many working nurses, retirees, undergraduate and graduate nursing students regularly contact the National Nursing Network Organization(NNNO) to obtain information and offer assistance. It is this grassroots altruistic spirit that has propelled the success of this campaign and we are grateful to each and every person who has participated and provided support. The NNNO is fortunate to have a committed and enthusiastic all volunteer Board of Directors. There are now 65 activists on the NNNO Advocacy Team that include state representatives, nurse leaders, attorneys, and stakeholders. These individuals continue to use their many talents and time to encourage and gain support from their elected officials for H.R. 485 /S. 1475. The Advocacy Team has also been busy spreading the word about this campaign through publications, presentations and social media. If you belong to Facebook, please join The National Nurse Campaign group. Sign up and add others so that they too can learn about the ongoing efforts to designate the Chief Nurse Officer of the USPHS as the National Nurse for Public Health. 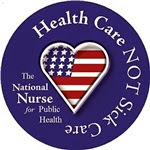 If you are on Twitter, follow @aNationalNurse for important announcements and updates. 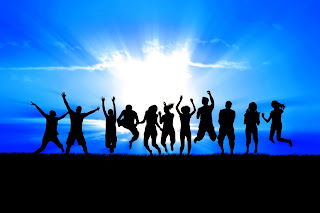 The NNNO is grateful to the many of you who sent in donations, some in the form of checks and others via recurring monthly donations through PayPal. The popular $20 campaign continued and over 150 informational packets were personally delivered to members of Congress on behalf of those who made these twenty-dollar contributions. Another great way to support the campaign is by purchasing a mug, magnet, button, bumper sticker, or t-shirt at Café Press. We greatly appreciate this financial support to help maintain the website, mailing list, and brief travels to educate others about the need for a National Nurse for Public Health. Each of us has our own way of defining success. Some say the measures of success are the criteria that we believe show the impact of our work.hese can be quantifiable or qualitative, but they are observable in some way. Henry Ford said, “Coming together is a beginning; keeping together is progress; working together is success”. There have been significant highlights and accomplishments in 2014. Chronologically, these began in the first month of the year when the NNNO was invited by leaders within the U.S. Public Health Service to attend the Change of Command Ceremony for the Chief Nurse Officer. Special thanks to Ruth Blevins RN, Executive Director of the WV State Nurses Association and Katie Hall MSN, RNBC who attended this memorable event and witnessed RADM Sylvia Trent-Adams succeed RADM Kerry Nesseler. RADM Trent-Adams is the nation’s 10th Chief Nurse Officer. February was a particularly significant month. Under the leadership of New Jersey State Senator Shirley K. Turner, SR16, a Senate resolution urging the United States Congress to enact The National Nurse Act of 2013 overwhelmingly passed. This resolution was then introduced into the New Jersey State Assembly and it too passed on May 8th, just in time for National Nurses Week. 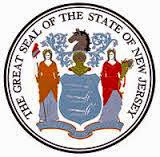 New Jersey joins the State Houses of Vermont, Massachusetts, New York, Oregon, and Vermont who have also passed similar resolutions. Special thanks to NNNO Advocacy Team members Audrey Bayer, BSN, RN, PCCN-C and Leslie Leonard, BSN, RN (Immediate Past President Greater Passaic Valley Public Health Nurses Association) who brought the idea to her attention and provided testimony to ensure passage. Also in February Advocacy Team members and key supporters traveled to Washington DC to attend a Congressional Briefing on H.R. 485 The National Nurse Act of 2013 hosted by the Office of Congresswoman Eddie Bernice Johnson and the National Nursing Network Organization. NNNO President Teri Mills MS, RN, CNE and NNNO Director Elizabeth (Liz) McPhee RN were the featured presenters. The briefing was reported in Medscape for Nurses. Author Laura Stokowski MS, RN reviewed comments made by McPhee who incorporated the theme, “America is the patient and the patient is in critical condition. McPhee stressed that chronic preventable conditions, poor health literacy, and continued health disparities must be addressed. Nurses: Your Patient is America also provides a synopsis of the legislation and concludes with thoughts on whether the bill will succeed. The National Nurse website continues to be highly touted as a top nursing blog. Throughout 2014, many groups within the nursing community have recognized this website as an important source for health promotion and disease prevention news and have chosen to include a link on their own web pages. Thank you to Barbara C. Phillips and Dr. Johnetta Miner, PhD, RN, NP, AHN-BC for including podcasts about The National Act on their shows. The Health Practitioner and Sage Clinician interviews provide useful and informative facts about the legislation as well as ways listeners can get involved and make a difference. Members of the NNNO Board and Advocacy Team returned to Washington DC in September. Often they are joined by members of other nursing organizations who are also stepping up and partnering with the NNNO to secure passage of the National Nurse Act of 2013. 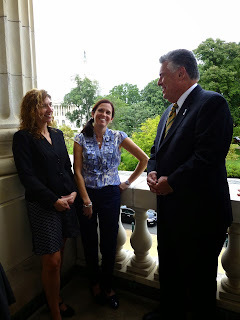 On September 10, 2014, the Case Management Society of America (CMSA) Leadership, Board of Directors, and Public Policy Committee, along with nearly 60 members of the CMSA case management community from various states across the country, met once again on Capitol Hill with House and Senate members of Congress. In addition to advocating for the National Nurse Act, CMSA delivered an important message regarding the critical value professional case managers add to the health care system to ensure safe transitions and quality, efficient care for the populations being served across the health care continuum. Also during their September trip, the NNNO had the privilege of having face-to-face meetings with Representatives Eddie Bernice Johnson (TX-30) and Pete King (NY-2), the sponsors of the H.R. 485, The National Nurse Act of 2013. 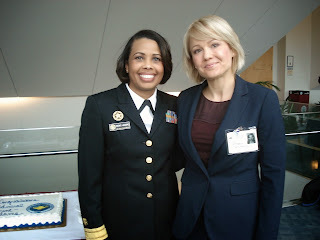 Additionally, it was an honor to meet with Acting Surgeon General Boris Lushniak, RADM Sylvia Trent-Adams (Chief Nurse Officer), and LT Chandra E. Jolley (Special Assistant to the CNO) to gain further perspective on the U.S. Public Health Service. Thank you to Theresa Brown, nurse and author, for her provocative op/ed, Ebola will elevate respect for nurses that was published in October on CNN. Brown writes, “Nurses' work is often under-recognized. But one way that the health care community could solidify nurses' integral role would be to pass the "National Nurse Act of 2013." This bill establishes the position of a "National Nurse" who would work with and complement the surgeon general in public health campaigns, including Ebola transmission, the need for flu shots, or worries about enterovirus. Also in October, Teri Mills MS, RN, CNE was recognized by The American Association of Nurse Attorneys (TANNA) for the work being done to designate the Chief Nurse Officer of the USPHS as the National Nurse for Public Health. Teri was chosen as the recipient of TAANA’s Humanitarian Award for 2014. Thank you to the American Assisted Living Nurses Association and the American Association for Long Term Care Nursing for endorsing the National Nurse act of 2013. These organizations join several others from the Coalition of Geriatric Nursing Organizations who had previously given permission to be added to the Signatory Letter in support of H.R. 485 and S. 1475 that is being delivered to Congress. 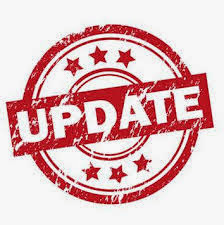 If your organization is interested in receiving a copy of the Signatory Letter or learning how they too can endorse these bills, please email the NNNO Board. 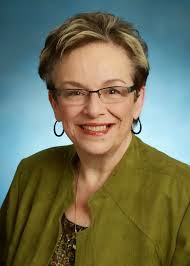 Many who serve on the NNNO Board of Directors and Advocacy Team are members of the American Nurses Association and we would like to congratulate and welcome President Pamela Cipriano PhD, RN, NEA-BC, FAAN in her new role. We wish President Cipriano the best during her tenure and stand by to assist her during this exciting transition. There have also been some recent changes to the NNNO Board of Directors to announce. Terri Polick and Sheryl Oakes Caddy who have both served many years on the Board will now be serving on the NNNO Advocacy Team. The NNNO is tremendously grateful for the many contributions Terri and Sheryl have made during their years of service on the Board. These include but are not limited to fundraising, writing articles, assisting with bill language revisions, and traveling multiple times to Capitol Hill. Finally, the NNNO welcomes three new Advocacy Team members. Welcome to Nicole Brown MSN, RN who serves on as a nursing faculty member at Virginia State University. 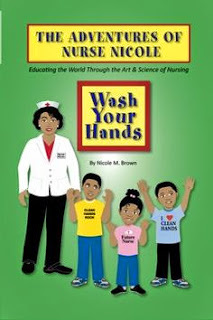 Nicole is the Chief Nursing Officer of Nurse Nicole Enterprises LLC., writing and publishing books that portray nursing in a positive light. She is also busy completing her Doctorate in Nursing Practice. Pictured: Kathy Mancusi RN, Esq. Kathy Mancusi RN, Esq., an accomplished nurse attorney from Maryland, also recently joined the NNNO Advocacy Team. Kathy serves on the Board of Directors of The American Association of Nurse Attorneys, a long time endorser of the National Nurse Act. She is very active in numerous organizations yet still finds the time to participate in important meetings involving the NNNO. The last addition to the team is Vivien Mudgett RNC, MA, MSN who resides in California. Vivien is a long time member of the American Nurses Association in addition to numerous other nursing organizations. She currently is enrolled at Rutgers University, studying for her doctorate degree in Nursing Practice. 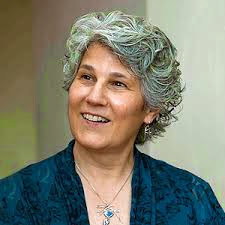 Vivien founded the Health Leadership Coalition in 2010 and brings a wealth of experience and information to our team. Visit About Us to learn more about the National Nursing Network Advocacy Team. The American Association of Heart Failure Nurses (AAHFN), the 2,000 member organization for the nurses caring for Americans with heart failure, is pleased to announce its support for H.R. 485, The National Nurse Act of 2013. Public health needs to grow in the direction of improving the health of Americans through health and wellness promotion and disease prevention programs, shifting the paradigm from illness and treatment, to prevention and wellness. Establishing the National Nurse position demonstrates continued commitment from the federal government and gives support for community wellness programs. The title of National Nurse for Public Health will provide the authority and recognition needed to capture the public’s attention and to raise awareness of health promotion efforts. This educated, highly skilled nurse will advocate for enhanced prevention efforts across the country. Chronic, preventable conditions have costly consequences on both healthcare dollars and patient morbidity. HR 485 helps to keep nursing in the forefront by asking the National Nurse for Public Health to work alongside the U.S. Surgeon General, in promoting local community health programs. The AAHFN supports establishment of a National Nurse for Public Health because we believe that nurses must be proactive leaders in health promotion, disease prevention and community health education.